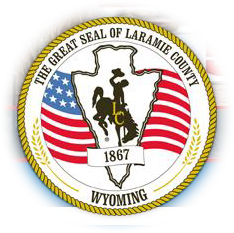 Cheyenne–Laramie County Health Department (CLCHD) has a multidisciplinary team of environmental and healthcare professionals available to respond to events such as bio terrorism, natural disaster, and communicable disease outbreak. Cheyenne–Laramie County Health Department's professionals have been preparing and are prepared to respond to bio terrorism events. In response to such an event, they will be a part of a multi–team emergency response system. During natural disasters CLCHD's team of professionals will respond to areas of the county where a disaster has occurred with information, testing, and immunizations to protect those exposed to diseases through unsafe conditions or unsafe water. CLCHD responds to communicable disease outbreaks by providing epidemiology and immunization for those affected by a reportable communicable disease in order to stop the spread of these diseases. See https://www.ready.gov for safety tips.